If the parts are flexed at the interface, the remaining cured resin could damage the underlying flexible laminate. 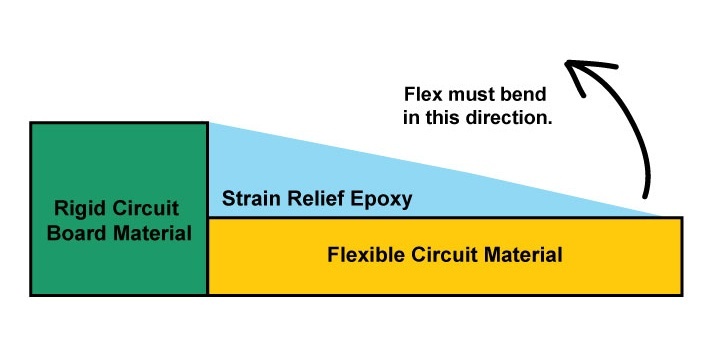 To protect the underlying flexible laminate, flex PCB designers require a strain relief epoxy in the flex transition zone. The applied, cured epoxy will help to extend the bending area past the remaining cured resin, as shown in the illustration below. Rigid-flex circuit board transition zone from rigid to flex material. This strain relief epoxy can be controlled to be either rigid or flexible, depending on the requirements of the final product. It is important to note that when designing strain relief into your rigid-flex PCB design that you refer to IPC-2223, section 5.2.9 for complete guidelines and limitations. The transition zone is a very sensitive area of printed circuit boards that must be constructed with great care. Even the slightest miscalculations will result in erros that impact the perfermance of your PCB. Here at Epec, we take the time to be certain our rigid-flex PCBs meet the high standards our customers need for their products. 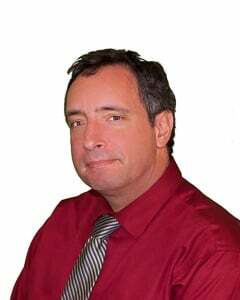 If you have any questions or concerns with your rigid-flex board, we'd love to hear from you! Feel free to reach out to us during the design stage, our engineers are always ready to help.